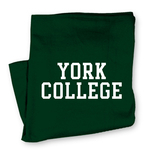 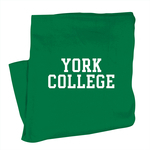 Settle down and cozy up on the couch with a York College blanket. 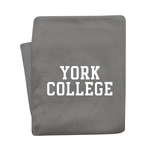 Stay warm and cozy with our YCP sherpa blanket. 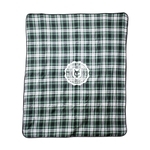 Plaid cotton 60" x 50" blanket with black satin edging and solid black lining. 54"x84" sweatshirt blanket with screen imprint on front.